Pop supremo’s Andy Bell and Vince Clarke return this May with their self produced seventeenth studio album titled ‘World be Gone’ before busily embarking on a 29 date summer European Stadium Tour as special guests for Brit icon Robbie Williams, preceded by 3 headlining nights in Glasgow, Manchester and London to showcase their new material before taking to the road themselves with a dedicated tour in 2018. 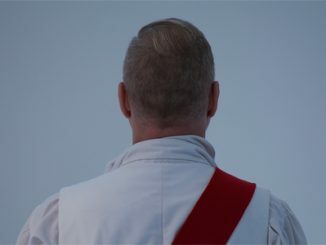 For thirty one years Erasure have had a tried and tested formula of crafting perfect pop songs, invariably deploying the three minute pop song to bring moments of happiness and joy to their loyal fan base and listeners worldwide, but the new release ‘World be Gone‘ contains a different kind of Pop, poignant, reflective and serious sort of affair compared to 2014’s upbeat club tinged ‘Violet Flame‘. 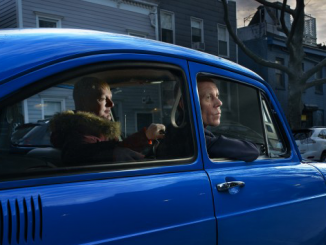 No doubt the current state of the world surrounding Syria, Trump and Brexit dictated or certainly directed the mood for the lyrics and ambience of this project but it’s not so much doom and gloom but a redirection from Andy and Vince’s love, life and loss writing references that are not just as prevalent in this album as with previous offerings. ‘Love You To The Sky‘ is the current single and sets off ‘World Be Gone‘ in what is a typically up tempo Erasure track, with its militaristic drum solo introduction, rounded bass line and perky electronics. This certainly isn’t one of the strongest tracks on the album due to the quite simple lyrical content but sets the album off on an exuberant note. ‘Be Careful What You Wish For‘ suddenly changes that mood with its melancholic stereo piano intro, sparse bass notes and thoughtful words. Reminiscently ‘Chorus‘ sounding it really is an excellent track and up there with the best on the album. The title track ‘World Be Gone‘ follows with a retro decayed synth launch, that incorporates some Yazoo style sounds and a trademark Vince Clarke middle eight, but also flaunts sublime layered choral backings within the chorus. Another simple electronic line flows with ‘A Bitter Parting‘ ticking along until it turns a tad serious with the line “I’ll catch you with a loving glance” and then Mr Bell goes all a bit ‘Peter Gabriel’ sounding with the chorus, which strangely has been produced in such a way where the vocals sound as if, dare I say and apologies if any offence is caused, a lisp has been introduced. ‘Still It’s Not Over‘ emerges with its beautiful Piano intro and chord structure. A sombre track that’s livened by the burst of energy when Andy’s vocals come amazingly alive. The electronics are set in the background through this track and are maintained as low key, but less is more in this case unlike the backing vocal arrangement which really brings the main voice to the fore. ‘Take Me Out Of Myself’ was first debuted at the Moscow to Mars gig, acoustically and didn’t sound particularly strong at that time but with the aid of some minimal electronics this track works a treat, with its overlapping backing vocals, fantastic bridge and emerging pitter patter drum arrangement. The main anomaly of the album is the title of the succeeding ‘Sweet Summer Loving‘ which is apparent when the icy, dark, echoed synth’s appear throughout. Warms ever so slightly throughout the chorus but not one bit Summery at all to be honest, although a simple sounding track that works fantastically. ‘Oh What a World‘ hits with an instantly dark sounding heavy electronic bass line, robotic vocals and strange sped up harpsichord noise that sporadically appears throughout. Very different sort of track than anything done before and quite reminiscent of a Human League ‘Being Boiled’ vibe. Atmospheric electronics and subtle beats engulf immediately with ‘Lousy Sum Of Nothing‘ while Andy Bell introduces a world weary lyric about how the ‘world has lost its loving’ which in today’s climate is extremely current. Some clichéd analogue sounds are entwined throughout but are precisely set in the background so as not to disturb the mood of the track. The final track ‘Just a Little Love ‘ features a sharply belled intro and electronic droplets prior to it becoming the second up tempo track on the album. Again its a track about the state of the world with lyrics talking of the ‘world’s gone crazy’ and a chorus of ‘just a little love’ needed to make things all right again (if only). Sound wise it could have featured on the 2007 album ‘Light at the end of the World‘ in all honesty as it sounds all too familiar and although an upbeat track its pretty understated and not a usual Erasure thumper. ‘World Be Gone’ is a fine listen that promotes thoughtful examination throughout. 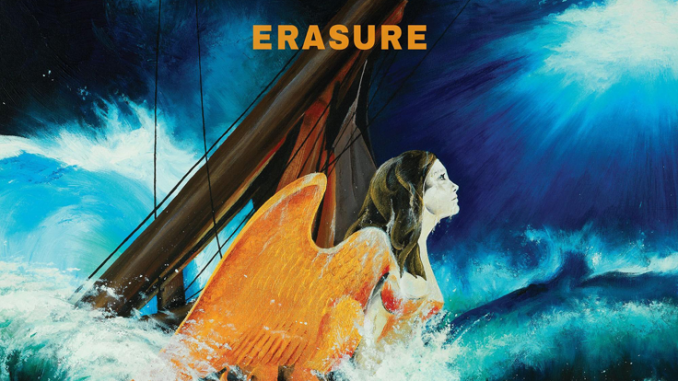 It has an essence of probably every ‘Erasure’ album since the ‘Chorus‘ release but that is due to the predominant use of analogue synthesizers and probable self production. It is downbeat and has extensive use of minor keys which some will gripe at but the topical content isn’t particularly uplifting so the fact the writing is current shows that Andy and Vince haven’t just reverted to autopilot and churned out the same old. 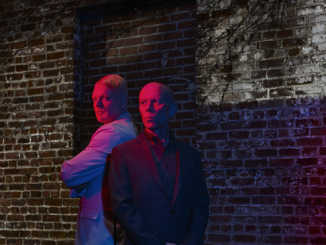 ‘The Circus‘ when released in 1987 made a similar statement with its Social issues and recognising that we are now 30 years on from that shows that Erasure haven’t forgot where humanity is now currently at. ‘World Be Gone‘ will not please everyone due to its down tempo nature but after 31 years in the business ‘Erasure’ could be forgiven for slowing down a bit for this one as they have kept dance floors alive for decades, but make no mistake ‘World be Gone‘ is an album that might not strike home immediately but after a few listens the quality is apparent and it will be recognised as full of quality with zero filler.